GritsTM – Fully programmable PC/104 bus I/O Board, using surface mount parts. The Grits design is based on the Lattice ispLSI2096E-100LQ128 CPLD, in a 128 pin Plastic Quad Flat Pack (PQFP). There is only one integrated circuit on the board. 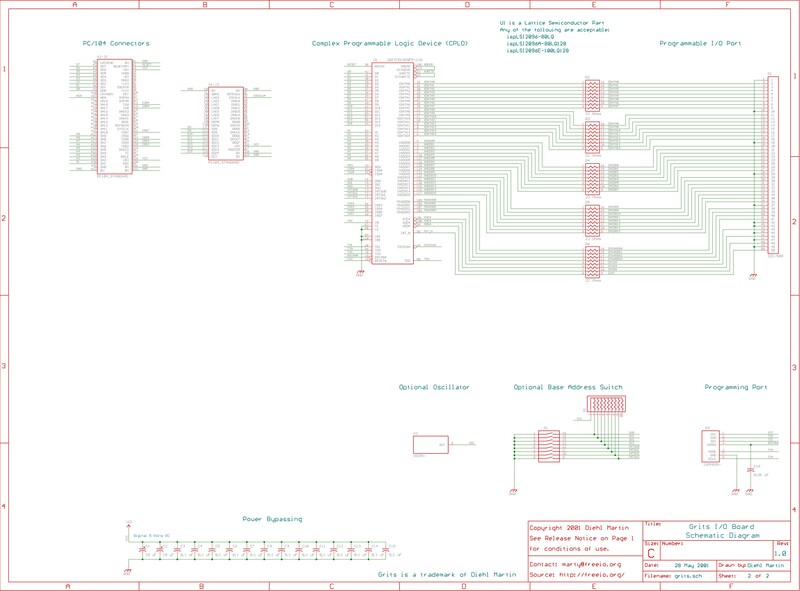 The Grits design is very versatile, and allows many ways to utilize it for I/O functions. In order to minimize costs, this board is built on a two-sided board (i.e. no power or ground plane layers) with 8 mil lines and spaces. 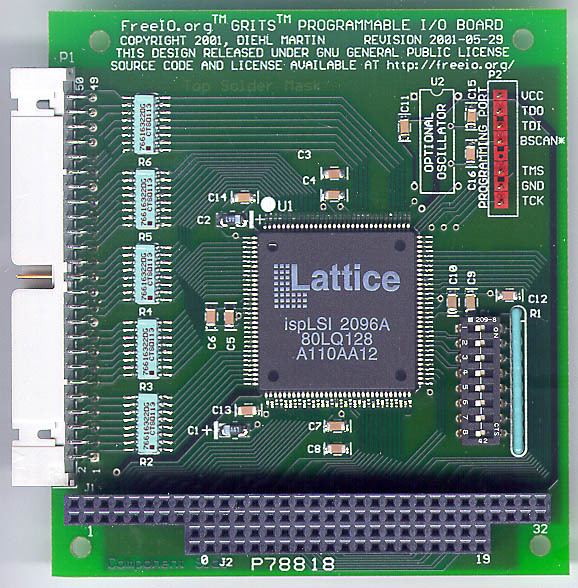 The Grits Programmable I/O Board was designed with Eagle 4.01, on the GNU/Linux operating system. The same CAD files will work with the Wxx version of Eagle. See the Software page for further information concerning Eagle. This will unpack the entire set of CAD and manufacturing files in the grits directory. 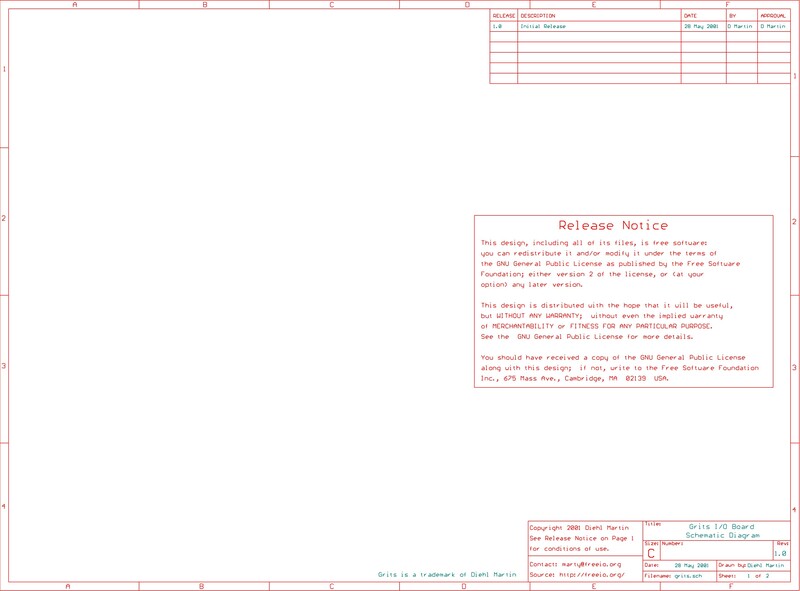 Note: The source code for all designs shown here is released under the GNU General Public License.